Between her bold looks and flawless hair, Beyonce Knowles is a constant source of beauty inspiration for just about everyone. We’ve watched her evolution from her Destiny’s Child days to her recent career as a platinum artist who manages to have a solid marriage with quite possibly the most famous child in the world. Queen Bey is constantly pushing limits and breaking down boundaries in her career, and the woman inspires girls everywhere to follow their hearts. For us, we not only love that she’s such a sound role model, but also that she’s never afraid to take risks when it comes to her hair and makeup. Considering her Mrs. Carter World Tour is in full swing, we knew we had to get the details on her tour looks straight from the woman responsible, celebrity makeup artist Jackie Gomez. 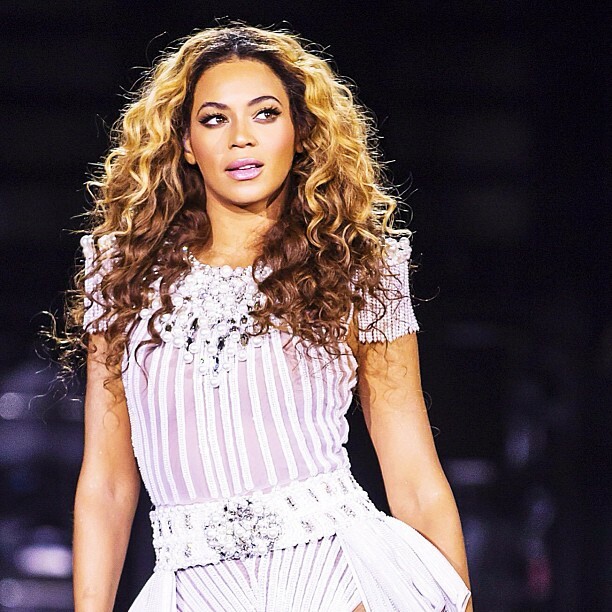 Read on below for how to recreate Beyonce’s look from the tour, makeup tricks and more! Beauty High: While on tour with Beyonce, do you switch up her makeup looks for each show or keep things consistent? Jackie Gomez: During the tour, the looks have to be consistent, especially because there’s no time for makeup changes during the show, just touch ups between each wardrobe change. Beyonce’s show is known for being high energy with tons of movement. Do you have any tricks for her makeup staying put while she’s sweating under hot lights? The trick to making her makeup last is using products that are sweat resistant and waterproof, this way everything applied to her is sealed and doesn’t move. How many makeup trials do you go through before finding the exact look for the stage? We had a few inspirations from magazine tear sheets and from her previous makeup looks. We ended up doing a very clean look for her. What’s your favorite look to create for Beyonce for the Mrs. Carter World Tour? We decided to go with a golden brown, soft, smokey eye and a pink lip. The look was perfect for all her wardrobe changes. To get Beyonce’s look from the tour, Jackie used Dior 5 Couleurs Lift Eyeshadow Palette in Amber and Topshop Eye Crayons in Gold Digger and Rust on her eyes, NARS Blush in Desire on her cheeks, and Obsessive Compulsive Lip Tar in Divine on her lips.